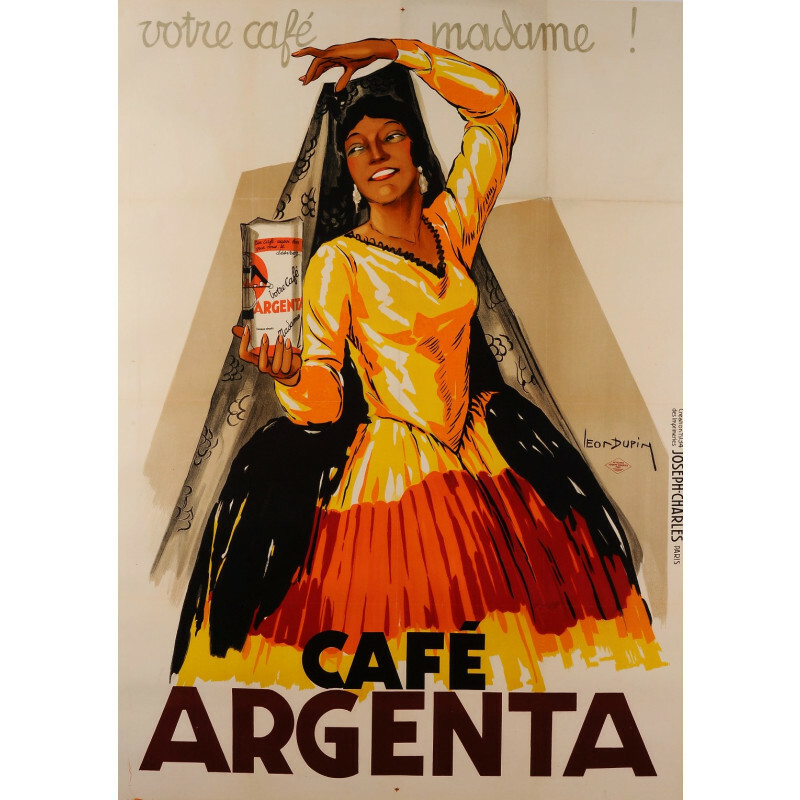 A poster commissioned by Café Argenta realized by Louis Dupin (1898-1971). 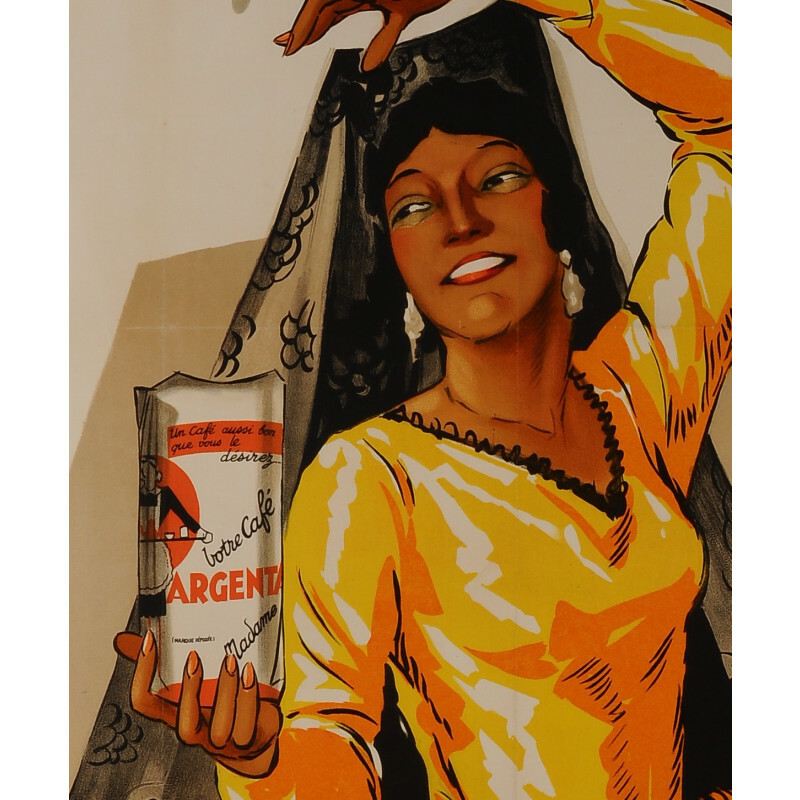 From the looks of the enticing lady one may surmise that this advertisement was slated for the Spanish or South American market. 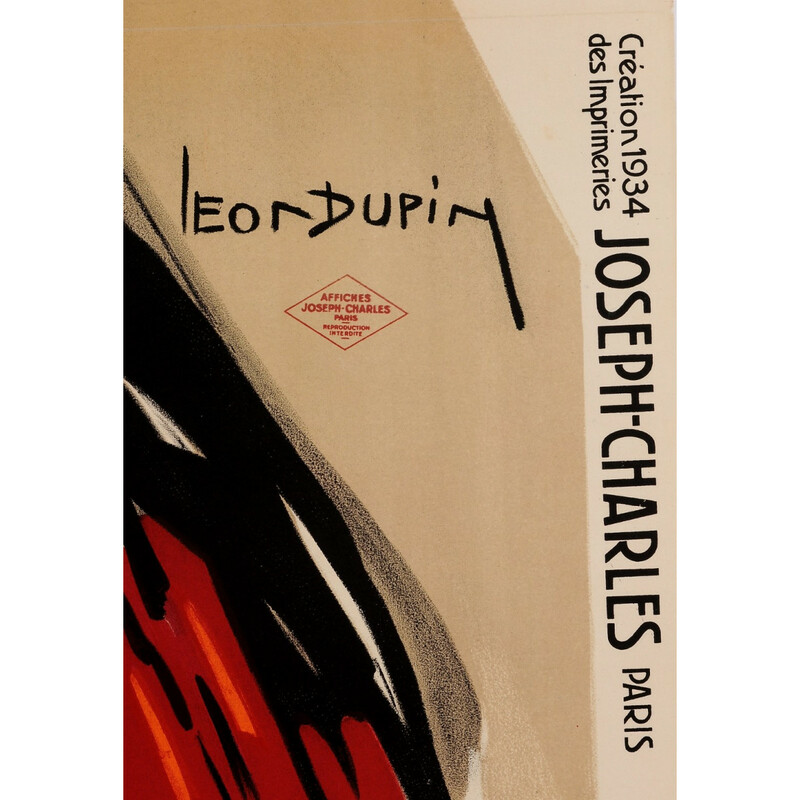 Although not as famous as some of his contemporaries, Louis Dupin is considered as one of the most talented poster designers of the period.